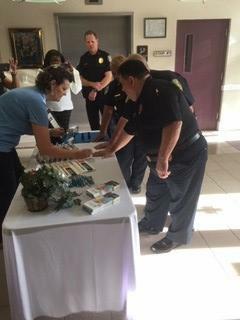 First Responders painted one fingernail blue as part of an effort to promote awareness of child abuse. April is Child Abuse Prevention Month, so for the rest of the month it's hoped questions about why people have one painted nail will promote conversations on the issue. Find out more by clicking HERE.